Aristotle’s quote rings true as much today as it did during his lifetime over 2300 years ago. In a world where it’s often hard to detect truth from falsehoods, it’s more important than ever to be a free thinker. Don’t just believe what you read, watch on TV, or accept what others say at face value. Do the work and really take time to analyze and research things in order to come to your own conclusions. 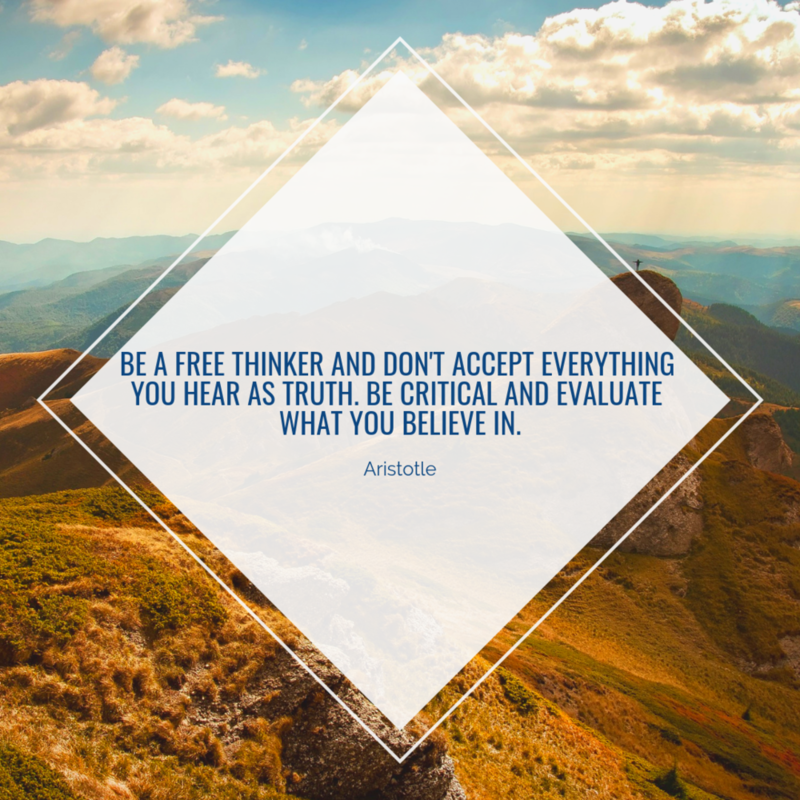 Those who fail to take the time to investigate and evaluate their beliefs but simply listen to soundbites and curated content miss out on forming genuine individual thought. Break away from average and become a free thinker, you’ll be much better off and much more informed.